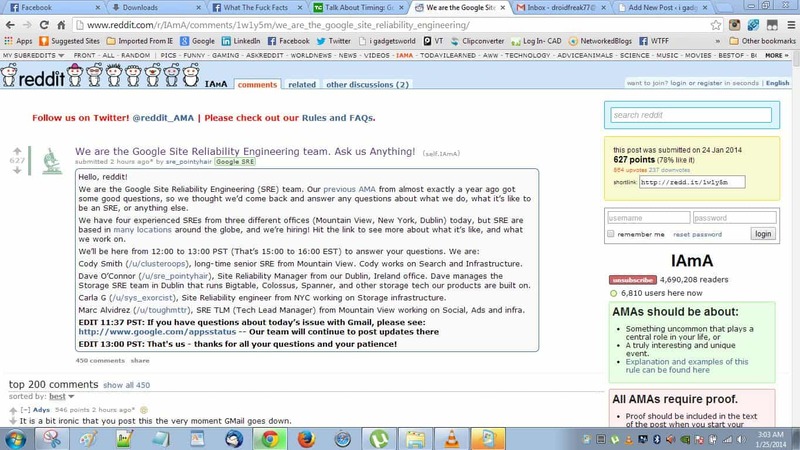 Google Site Reliability Engineering team heads to Reddit for a Q&A session. 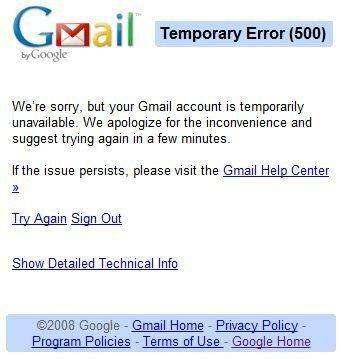 Its almost a destructive time for Google as Gmail went down. In many parts of the world people facing many issues with Gmail, even we are, my inbox got filled with the same email repeated over a hundred times. Gmail, Google Calendar,Google Talk, Google Drive, Google Docs, Google Sheets, Google Slides, Google Drawings, Google Sites, Google Groups, Admin console, Google+ Hangouts and Blogger have faced service disruption as visible from App Status. The good news is that Google’s Site Reliability Engineering team is on Reddit to answer questions from different locations. Here’s the post they have put. Google’s Site Reliability Engineering team will be available at reddit from 12:00 to 13:00 PST (That’s 15:00 to 16:00 EST) to answer your questions. Cody Smith (/u/clusteroops), long-time senior SRE from Mountain View. Cody works on Search and Infrastructure. Dave O’Connor (/u/sre_pointyhair), Site Reliability Manager from our Dublin, Ireland office. Dave manages the Storage SRE team in Dublin that runs Bigtable, Colossus, Spanner, and other storage tech our products are built on. Carla G (/u/sys_exorcist), Site Reliability engineer from NYC working on Storage infrastructure. Marc Alvidrez (/u/toughmttr), SRE TLM (Tech Lead Manager) from Mountain View working on Social, Ads and infra. EDIT 11:37 PST: If you have questions about today’s issue with Gmail, please see: appstatus . The latest updates will be there.